Experience the thrill and excitement of New York on this performing arts trip to the Big Apple as students are given the incredible opportunity to undertake 5 Broadway workshops lead by the best in the business! Explore the city as you visit Radio City Music Hall, the Lincoln Center and other iconic New York landmarks. Journey to NYC Board your flight to New York. Your evening is free for teacher supervised activities. Join a walking tour of Times Square before taking a stroll through the famous Central Park. Evening Activity Enjoy a Welcome to New York dinner at Buca di Beppo. Explore New York Mingle with the stars at Madame Taussaud’s Wax Museum before heading to the West side for an independent tour of Intrepid; the Sea, Air and Space museum. Enjoy a two hour cruise on the Circle line ferry, passing by some of New York’s most famous landmarks. Head to Rockefeller Centre where you have some free time for dinner and window shopping along 5th Avenue. Afterwards take the lift to the Top of the Rock observation deck for unparalleled views of New York’s 5 boroughs. Make your way to the first of 5 Broadway workshops, the Musical Theater Song and Movement workshop. Presented by Broadway performers, here you will learn the choreography, staging and music from a Broadway production. Visit the American Museum of Natural History, which you may know from the movie ‘A Night at the Museum’. After dinner in the theater district, before attending a Broadway show. Second Workshop Take part in your second Broadway workshop, The Acting Audition. Here the focus is on monologues, cold readings, stage presence and the importance of first impressions! Afterwards, take a stroll through Central Park and visit the Metropolitan Museum of Art – the largest art museum in America. Finish up your day with a self-guided audio tour of Grand Central Terminal. Third Workshop Your third workshop Making Music sees you working with a musical director exploring the art of marrying music and drama. The workshop finishes with a performance of your piece. 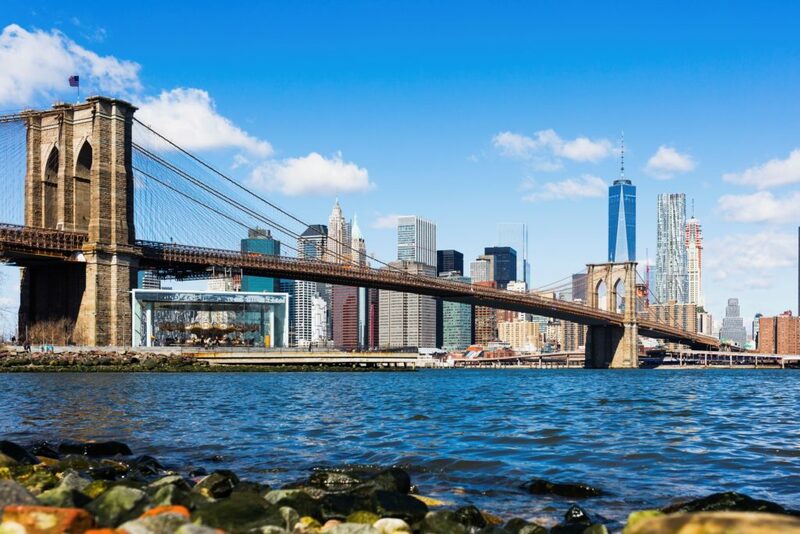 Discover Downtown Head south for a walking tour of Lower Manhattan, visiting Battery Park and the historical Fraunces Tavern before you make your way to the 9/11 Tribute Centre. Stroll along the famous High Line en route to your hotel before you attend another Broadway show. Fourth Workshop Improvisation is your fourth workshop, this fast paced and fun session focuses on team building skills and quick thinking as you participate in a series of interactive theatre games! NBC Studio Experience Make your way to Rockefeller Centre for the NBC Studio Experience Tour where television has been made since 1933. Spend the afternoon at the Paley Centre for Media, afterwards enjoy a night of teacher supervised activities. Fifth Workshop Take part in your fifth and final Broadway workshop, The Art of the Quick Change. Here you get a backstage look at how Broadway professionals change costumes and scenery in just a few short seconds. Make your way to the Discovery Times Square, a destination for discovery through unique and immersive exhibits. End the day at the Empire State Building observation deck. Take a ride on the New York Skyride afterwards and enjoy unprecedented views of New York’s landmarks from the comfort of a motion simulated theatre. Tour the Lincoln Centre and see what happens on and off stage at the centre’s many theatres. Afterwards enjoy a guided tour at Radio City Music Hall where you can explore the secrets of the stage, the art deco interiors and production areas – and even meet a Rockette! MOMA Visit the Museum of Modern Art (MOMA) and see works by the likes of van Gogh, Warhol and Monet to name a few. Final Farewell After breakfast, bid farewell to the Big Apple as you board your flight home. Thank you for your interest in our WorldStrides Performing Arts: New York Tour! Please tell us a little more about yourself so we can get you sent to the right place.